Ohio truck accident victims in Columbus canturn to truck accident attorney Anthony Castelli, Attorney at Law, for dedicated legal representation. We understand the tragic consequences of truck accidents as well as the great financial and personal cost that they can cause. The trucking company and its insurance company have years of experience defending truck accident claims. If you or a loved one was seriously injured by an 18 wheeler in Ohio, you need to find experienced Columbus truck accident attorneys to combat the inequality and tactics the trucking company is likely to use. 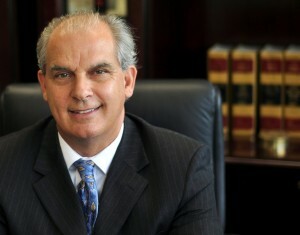 Anthony Castelli Attorney at Law, would like to be on your side to help you recover the compensation you deserve. He’s waiting for your call for his legal help right now. For a free consultation call locally in Columbus 1-800-447-6549. Truck accidents often result in very serious and fatal injuries. We understand that if you survived, you may be permanently disabled and require extensive care for the rest of your life. It is not uncommon for more than one family member to be seriously injured in the same trucking accident, creating an even greater burden on the loved ones who must care for them. Because our attorney has extensive experience representing truck accident victims in Ohio, we know how to help you get the money and support you need during this difficult time. Adding insult to injury, truck accidents are often the result of greed on the part of trucking companies that cut corners and push their drivers to meet unrealistic schedules. Through a Columbus truck accident lawsuit, you can seek payment for what they have cost you and your family including: lost wages , payment of medical bills, pain and sufferring , loss of enjoyment of life and the death of a loved one. We understand that this is a very difficult time and that it is very hard to imagine getting involved in legal action while you are trying to recuperate and take care of your loved ones. However, there is an unavoidable time limit for filing your lawsuit called the statute of limitations. If you miss this important deadline you will lose your right to compensation. If you are unable to come into our office, the Columbus truck accident attorney at our law offices can meet with you at your home or in the hospital, so that you can get started as soon as possible. Just as importantly, you need someone to preserve the evidence in your case. Only certain things are required by law for the trucking company to save. Anthony knows that a spoiliation of evidence letter is one of the first steps to take to to seek the preservation of evidence. If you or a loved one has been injured or a loved one has been killed in a truck accident in Ohio, please call Columbus truck accident attorney Anthony Castelli at 1-800-447-6549 or submit an online questionnaire. Your initial consultation with our truck accident attorney is free of charge, and if we agree to handle your case, in most cases we will work on a contingency fee basis, which means we get paid for our services only if there is a monetary recovery of funds. A lawsuit must be filed before an applicable expiration date, known as a statute of limitations. Please call right away to ensure that you do not waive your right to possible compensation. Nothing on this site is intended to imply that Anthony Castelli guarantees or can achieve a particular result for your case. Every case is different with multiple factors that go into a success or unsuccessful result. 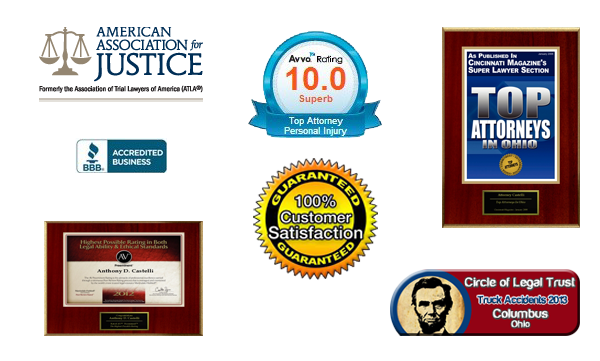 This website is for general information only about the law practice of Anthony Castelli, a lawyer licensed in Ohio, and does not constitute legal advice for your claim nor does use of this site or filling out a contact form constitute an attorney client relationship. There is also general educational informational content. Legal advertising.